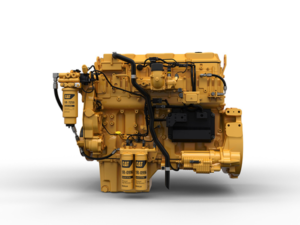 Off-highway diesel engines are designed to perform in many different applications across multiple industries. These engines must be able to perform consistently and reliably in extreme conditions where there’s dust, vibration, high altitudes and generally harsh weather conditions. 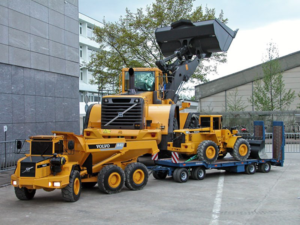 Such engines can be found in excavators, cranes, backhoes, forklifts and others that perform a particular job. 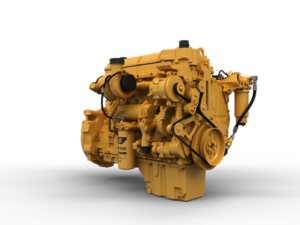 Off-highway diesel engines are configured to meet the heavy-duty demands for specific applications including construction, mining and industrial, and time is money in the world that these machines live. Downtime is a profit killer that no fleet manager can allow if at all possible. And while preventative maintenance practices have stepped up for many operators, the environment that they work in means at some point a rebuild will be necessary. Engine builders who position themselves for the off-highway or non-road diesel market can find a wide range of engine sizes and applications, more than what is available in the on-highway segment. Off-highway diesel machinery puts food on our tables and a roof over our heads, among many other contributions these machines and industries make to our society. To understand the scope of the off-highway diesel market, take a look at the size of the industries where diesel-powered machinery is the dominant choice of power. According to the Diesel Technology Forum, agriculture uses diesel engines to power two-thirds of all the equipment in $19 billion worth of tractors, combines, irrigation pumps and other farm equipment. Construction equipment is 100 percent powered by diesel engines in nearly $17 billion worth of machinery, and mining uses about 72 percent diesel-powered machines. All told, there are approximately 15 million diesel-powered, off-highway engines in use today and the market for the equipment is trending upward as the global economy is reaching full stride. The economic value of the sectors is almost as staggering as the number of engines and types of equipment. In fact, one manufacturer of these engines (and equipment), Caterpillar, posted $12.859 billion in sales and revenue in the first quarter of 2018, which is a 30.9-percent increase. And the company’s Q2 earnings also beat expectations at $14.0 billion, an increase of 24 percent from the previous year. While we’re certainly not Sherlock Holmes, and lack his powers of observation and deduction, we can easily deduce that this market segment is hot. 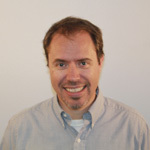 R&R Engine and Machine’s Bryan Menke told Engine Builder that the majority of his company’s business is rebuilding and repairing off-road diesel equipment such as those found in cranes, backhoes and loaders with Cummins and Perkins engines. R&R also does work on wood chippers, which are diesel-powered. The size of the machinery runs the gamut. The smaller engines can be found in Bobcats, loaders, mini excavators, or power wheelbarrows. Ditch Witches and other underground trenching and construction equipment have brought in steady work for R&R. Yanmar is another small diesel manufacturer engine builders are starting to see more of in their shops. The advantage to these engines is that they are similar in size to automotive engines and many shops will not need to add more equipment to rebuild them. Menke says a common issue he sees are injector and pump failures due to fuel contamination. Turbocharger failure is becoming an issue as well. The wastegates tend to get stuck or rust and fall off. However, Menke says that most major component failures are related to the number of hours on the engine and how much maintenance has been done. These engines live in such harsh environments and rarely get cleaned regularly, let alone serviced. According to Caterpillar’s construction division, it expects broad-based growth in all regions for the rest of the year, with the most significant drivers being the continued strength of construction activity in North America and infrastructure development in China. For more than a decade, OEMs have been required to reduce emissions of off-highway diesels through a tiered approach. In 1996, Stage I regulations set emissions limits on particulate matter and oxides of nitrogen. Then in 2011, Stage III B regulations were established for non-road emissions for engines between 174 – 750 hp. These regulations reduced particulate matter (PM) by 90 percent, along with a 50-percent drop in nitrogen oxides (NOx). Now, since 2014, Tier 4 Final Stage emissions regulations have taken PM and NOx emissions to near-zero levels. The only way engine manufacturers can meet these new emissions levels is by introducing an after-treatment system, which cleans the NOx and PM out of the tailpipe. There are several approaches to doing this, but the result is that emissions are reduced to the required levels. These after-treatment systems are similar to those used for on-highway engines now. Adding emission controls to off-highway equipment adds only a fraction to total equipment price. 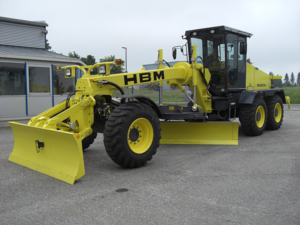 A bulldozer that costs $230,000, for example, would add $6,900 to the price tag for the advanced emission controls and design changes to accommodate the modified engine. The EPA has estimated the average cost increase for 15 ppm sulfur fuel would be 7 cents per gallon, and it would be further reduced to 4 cents due to low sulfur diesel. An example of how after-treatment systems work on some off-highway diesels is seen with John Deere’s Tier 4/Stage III B engines (75 hp and up). These engines employ a catalyzed exhaust filter that contains a diesel oxidation catalyst (DOC) and a diesel particulate filter (DPF). The DOC reacts with exhaust gases to reduce carbon monoxide, hydrocarbons and some PM. According to the company’s literature, the downstream DPF forces exhaust gases to flow through porous walls, trapping and holding the remaining PM. Trapped particles get oxidized within the DPF through a cleaning process called “passive regeneration,” that uses exhaust heat created under normal operating conditions. Today’s high-pressure common rail fuel systems require a new level of cleanliness. Manufacturers continue their pursuit of high performance, low emission, off-highway engines that meet and exceed the many strict regulations that are in place throughout the world, not just in the U.S.
Diesel engines that use clean, high-quality fuel and are kept up on maintenance will run a long time with fewer issues. However, in the field, that is not always possible, which can lead to breakdowns and loss of profit for the company that owns the machine. The internal components of modern injectors are very susceptible to wear and sticking problems due to particles and other kinds of contamination. The tiny internal parts of the fuel system can wear and decrease the life of the components and may even cause malfunctions that could result in severe damage to the other engine components. Some common contaminants found in today’s fuels include water, microorganisms, wax, hard particles, debris and other sediments. These environmentl and biological elements can wreak havoc on a high-pressure fuel system. While we don’t have enough space to list all of the engines and specs here, we’vs seen that the off-highway segment is vast, containing engines as small as 10 hp in a trenching machine or mower to ocean-going marine diesels with horsepower in the thousands. Volvo Construction Equipment recently introduced its H-series L110H and L120H wheel loaders the new Tier 4F emission regulations. The machines use an innovative optishift transmission system for improved fuel efficiency of as much as 18 percent. Other prominent manufacturers in the off-highway market include John Deere, Scania, Perkins, Detroit Diesel, Komatsu, Cummins, CNH Industrial and Caterpillar. Off-highway’s most prominent manufacturers will produce more than a million engines this year and have millions more in the field. John Deere alone has built 5 million engines in its 85-year history, and many of them are still in service. That’s a large pool to work from and not a lot of independent shops can service them – often, equipment owners are forced to go through the dealer for engine work. According to Caterpillar’s construction division, broad-based growth is expected in all regions for the rest of the year, with the most significant drivers being the continued strength of construction activity in North America and infrastructure development in China. Engines wear out and need to be overhauled. It’s the circle of life and nowhere is this more evident in the modern world than with the Ag industry. In the agricultural market, efficiencies have been on a long upward trend while reducing the number of farmers to produce more yield through better equipment and technology. The many tractors and combines that are used to put food on the table at the end of the day, also need servicing. 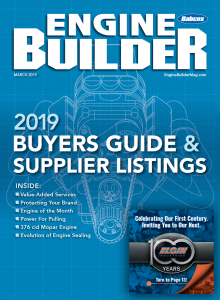 The latest Machine Shop Market Profile lists diesel engine work as one of the most profitable segments for engine builders. In addition, the Engine Builder survey pointed out that 36 percent of machine shops are planning to expand in the next two years. Overall, the off-highway diesel market looks to be a healthy one for engine builders if you combine all of the segments – industrial, agricultural and power generation.